Beer enthusiasts admire a beer for a number of reasons. This might comprise its origins- whether it’s a specific brewery or its location- a nostalgic habit or merely its availability at the local pub. When we start talking about ‘craft’ beer, other considerations become important; for instance, the ingredients used in brewing, or the style of beer. It’s the difference between ordering a Guinness and asking to try an iteration of an Irish dry stout. Some styles of beer are intrinsically associated with a region because of indigenous ingredients or the ancient brewing techniques employed. Belgium is one of these countries, having a renowned legacy in wheat beers- but in reality, the long brewing history in the country has resulted in an extensive range of complex styles, from pale ales, saisons, tripels and dubbels to the Trappist beers, brewed within a monastery by Trappist monks. One particular tradition of Belgian breweries is the design of their respective glassware- each brewery has a unique glass in which its beer should be served. So suddenly an affinity for Belgian beer- or for wheat beer-becomes ambiguous. But it’s a very good baseline for exploring the tastes of the region and thankfully Belgibeer offers a monthly subscription service to discover the spectrum of beers from a country that boasts 150 breweries and 1,000 different beers. 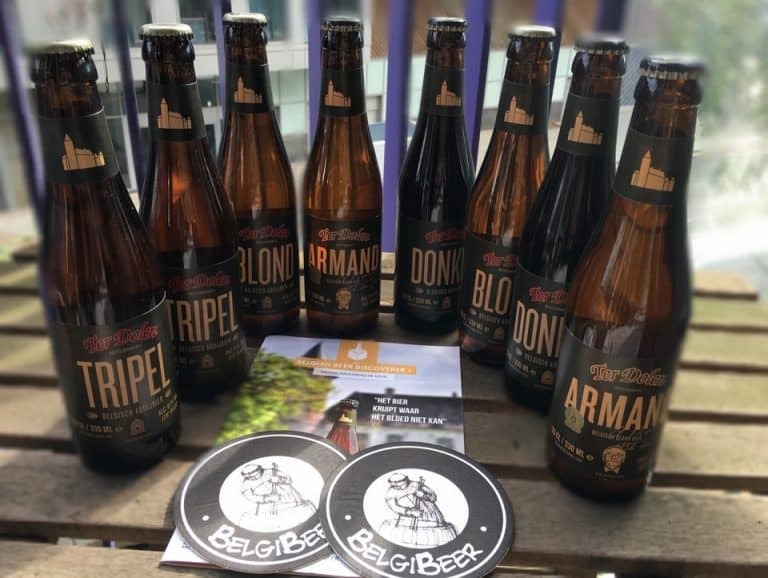 Each month, Belgibeer showcases eight bottles of beer from one craft brewery alongside a booklet with tasting notes and a background to the selection. June 2016’s box features the Brouwerij de Dool, a brewery established in 1994 and based in a medieval castle (kasteelbrouwerij de dool) in Helchteren, Belgium. 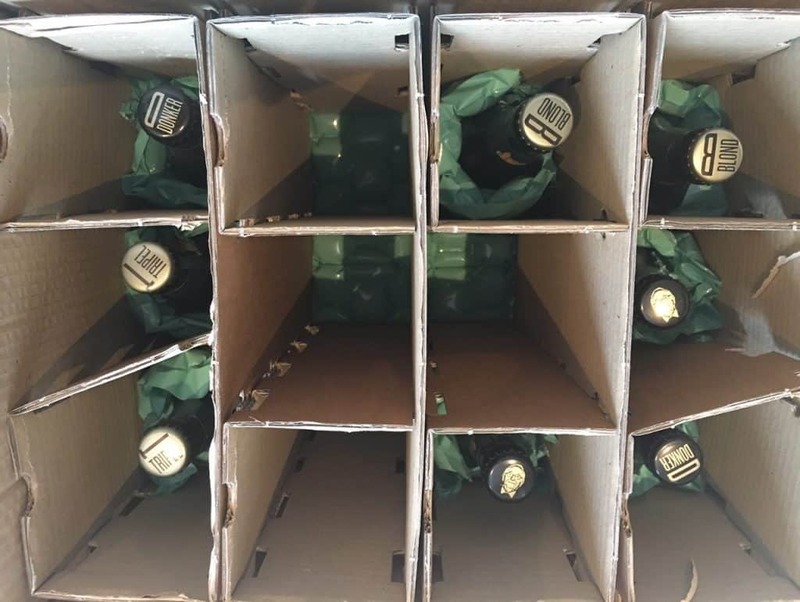 The 330ml bottles arrived in a cardboard box, packed securely for their journey, each bottle carefully slotted into a separate compartment. Not knowing what styles to expect, I was eager to remove each bottle one by one and read each label with interest. 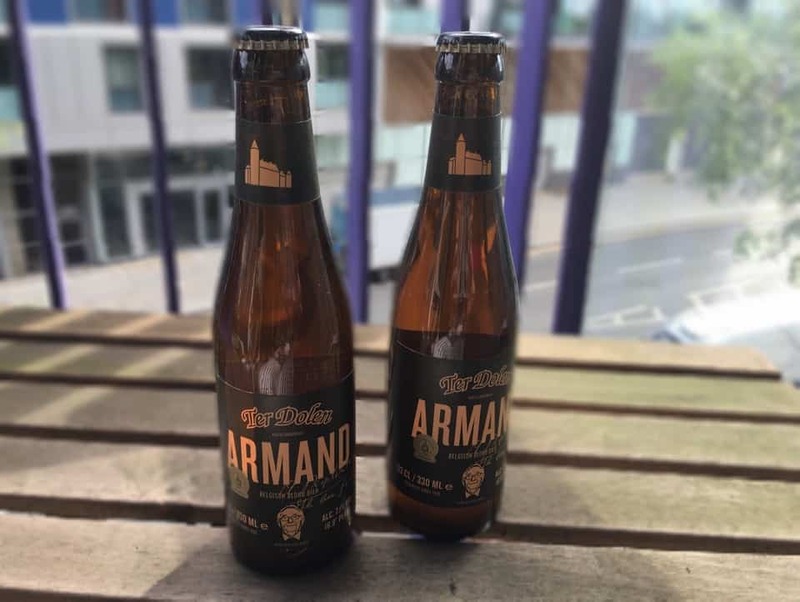 In the information booklet, subscribers are advised that the head brewer, Mieke Desplenter, created a beer in her father’s honour: The Armand, a Belgian ale, named after Armand Desplenter. 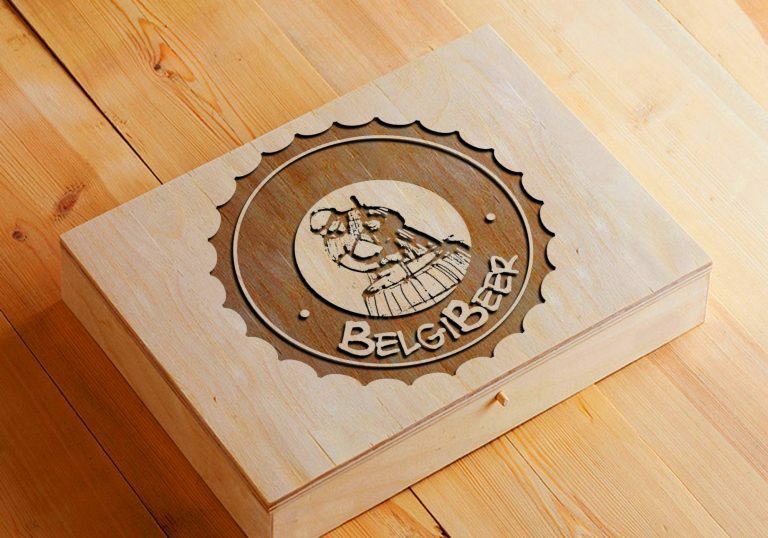 This loving gesture was awarded gold in the first Brussels Beer Challenge in 2012. 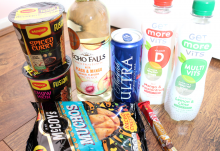 Heralded as the centrepiece of June’s box, I was eager to sample this first. Pouring it into a glass, it demonstrated the hazy golden- or blond- colour that I closely associate with Belgian beer. Cascade hops- an American hop variety known for its juicy grapefruit notes- can be detected in both the aroma and taste. Not too sweet, but instead a hint of zest and fruity flavour, it’s a refreshing beer. Its ABV is on the higher end of the spectrum (7.1%), making this extraordinarily smooth and quaffable beer slightly dangerous. The second beer, the Blond, poured amber gold and immediately appealed to me. Billed as a blond abbey beer, this showcased the apex of Belgian style beers: using noble hops- meaning hops from continental Europe and not the citrusy resinous American varieties- lets the two varieties of malts used in this beer and the yeast flavours shine through, making this a sweet, spicy and fruity affair. Finishing with a mild bitterness, this is another extremely pleasant and easy-going sample. It’s a very respectable example of this style of beer. 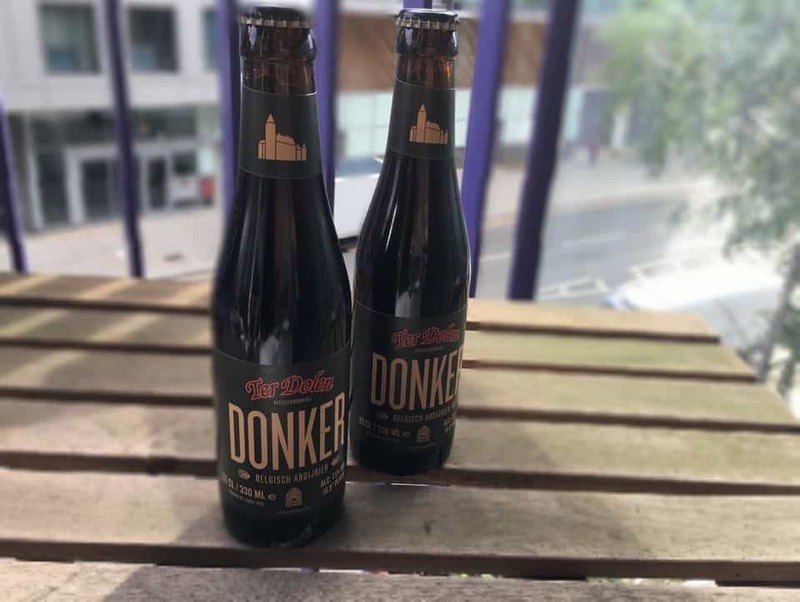 Moving on, the third beer moves in another direction- the Donker, a dark abbey beer, which boasts an opaque dark brown hue in the glass with a large frothy white head. On the nose, the aromas are a powerhouse of sweet maltiness, heavy with caramel and biscuit. Three varieties of malts are used in the brewing of this beer alongside two hops- giving the donker a rich and complex flavour profile, but it’s surprisingly fruity, warming and very sweet. It finishes with a light bitterness and doesn’t betray its ABV of, once again, 7.1%. This was originally a seasonal beer, released for Christmas, and is a perfect style for the colder months. I found this to be bursting with character and strangely alluring. Finally, the Tripel, with its ABV of 8.1%, pours a handsome burnished copper colour, once again boasting a lovely, frothy top. This has a rich flavour profile, giving off notes of sweet biscuit malt and hints of banana, spice and bubblegum from the yeast used. It packs a punch and is perhaps the most challenging of the four styles, but it becomes more drinkable as it warms in the glass. It presents a more intense style that might surprise some, but is very pleasant nonetheless. Given its ABV, it’s no surprise that it finishes with a heat in the back of the throat. 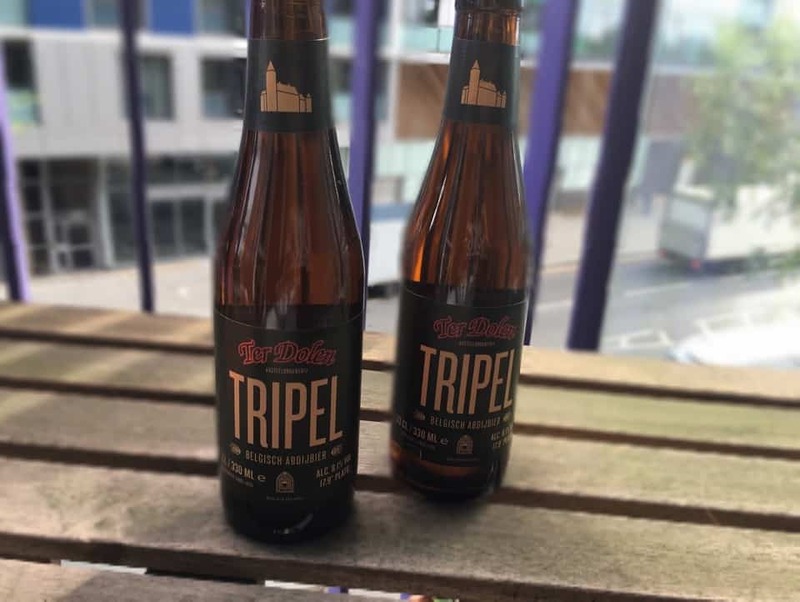 Belgibeer can be bought or gift for 27.90€ (approximately £21.40) plus shipping as a one-off box, or in increments of three (23.90 €/month), six (21.90 €/month) and 12 months (19.90€/month). 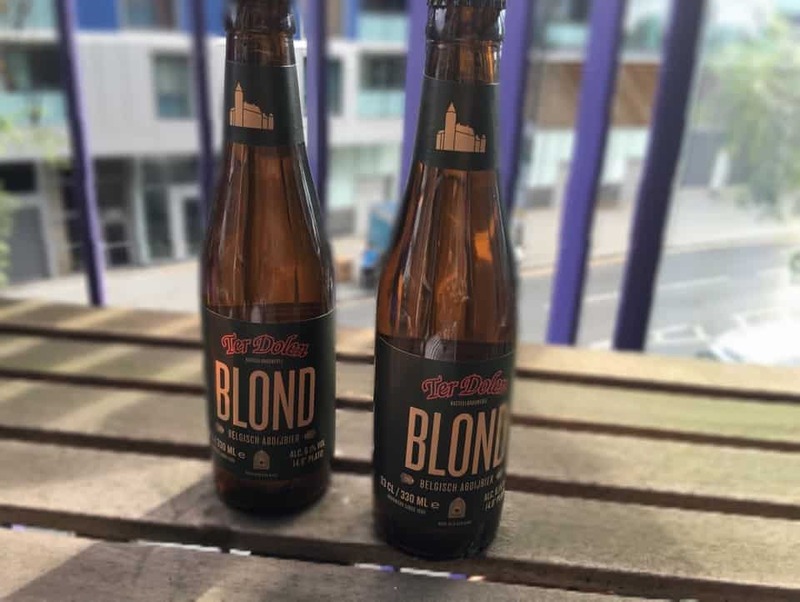 I was won over by the concept of the service, especially because I qualify myself as having an affinity for Belgian beers with their fruity yeast character and creamy mouthfeel. However, my fluency with the style is admittedly limited. This is the ideal opportunity for me to expand my repertoire and try some rare and unusual beers that would unlikely find their way into my fridge otherwise. The concept will appeal to any avid beer drinker with an open mind. 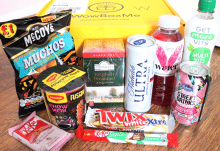 It makes a unique and thoughtful gift because it varies from the UK-based subscription services that mostly specialise in local beers. While it’s obviously vital to support local breweries, this is a great box to supplement the great British beer in my fridge. I enjoyed each of the Ter Dolen beers respectively and found myself reading into the heritage and background of the brewery to heighten my engagement with the beer. 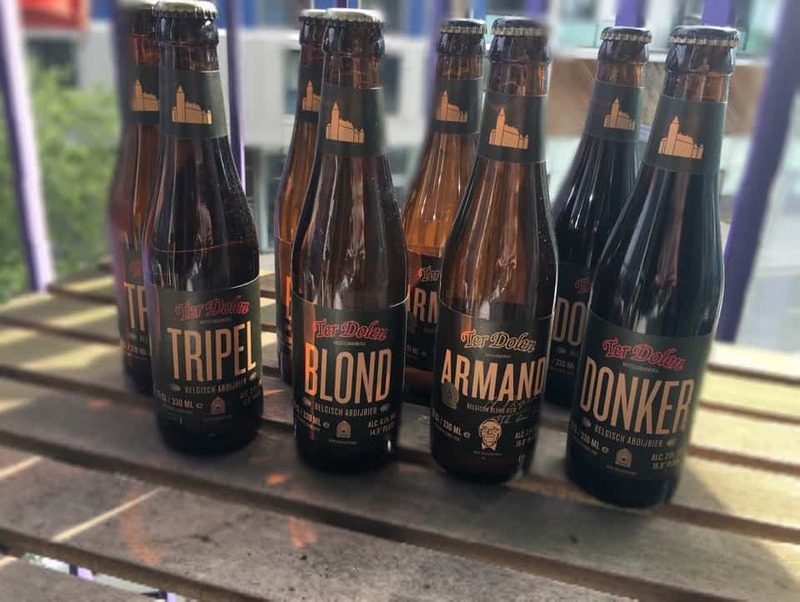 Although two bottles of each style of beer were included in the box- meaning only four different beers- this means that the experience can be shared between two people. Given the improbability of sourcing these beers in the UK, it also means that you can revisit each one. 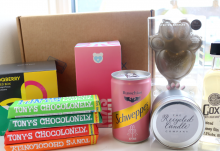 As a subscription box, Belgibeer is a winner for the beer drinker that has everything- you can even upgrade your box to include the bespoke brewery glassware for under £4 each, or other tasty gourmet Belgian flourishes, making this a full cultural experience. A subscription box that will appeal to adventurous beer drinkers and an excellent introduction to the variety of Belgian beer styles. How would you rate Belgibeer ?